Game design is a subset of game development and is the process of designing the content and rules of a game. Game designers are responsible for designing the game play, environment, storyline, and characters. These games are usually played on computers or they come as applications for mobile phones. An education in computer science, programming, graphic design, animation and sound engineering works as an additional qualification to enter the industry. A game designer often plays video games and demos to follow the game market development. Presenting the idea in the form of a game proposal document containing the concept, game play, feature list, setting and story, target audience, requirements and schedule, staff and estimated cost. Taking numerous decisions regarding the game's development and design. Writing script for a game or penning the character dialogue. Designing levels and making maps of the various locations in a game. Video game design schools offer several different types of degrees - certificates, diplomas, associate degrees and graduate level programmes. Certificate, diploma and associate's programmes are usually one or two year programmes and will allow you to enter the workforce quickly. Game design is an upcoming field in India. Courses of varied duration are available both in universities and in private institutes. The degree courses and B. Tech courses are for a period of 3 and 4 years respectively. For example – An advance diploma in Animation/Gaming is available in Srishti School of Art, Design and Technology- Bangalore. Similarly, Global Institute of Gaming and Animation (GIGA)-Chennai offers a B. Sc programme in Animation and Game Technology. Many other institutes like Zee Institute of Media Arts (ZIMA)- Mumbai offer certificate courses in game design. 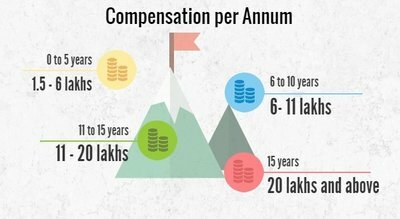 On an average, a 3 month course would cost around Rs.17,000 whereas a 15 month course fee could be anything around Rs.70,000. According to the Entertainment Software Association (ESA), computer or video games are present in roughly 72 percent of American households, the average age of game players? 37 years! (That’s news because the general perception is that only children play video games) proving that it's not just a hobby for the young. The major international market is the USA, Canada, UK and Japan, and many game design students are hired in the top notch multinational companies to help design their video games and keep the consumers entertained. People from other fields like sound engineers, programmers, art directors and cinematic director are also needed in the video game industry. The good news about the video game design industry is that it's growing at a firm and a consistently fast pace. Wide access to the internet has created a huge demand for online games. Also, popularity of gaming consoles like PS, XBOX, Wii, etc. has generated limitless demand for innovative games. Many movie makers use gaming to popularise the characters of their movies. Cell phone users are another major group of target audience for the video game industry. Overall, the gaming industry is worth an exploding $11 billion. Sometimes, a big commercial game takes as much as $500,000 to make. Freelancing or entrepreneurship is a good option for those who like to work independently. Besides, creative minds cannot be restricted to a rigid work place schedule. It is however important to remember that a complete video game product cannot be made by a game designer alone. Freelancing is a good option if you wish to only work in a particular segment. For a finished product, you need experts who can add great features and build characters in the game. Game designing companies pay their employees well. They are also entitled to various employee benefit schemes. It’s necessary to retain talented designers and no one knows it better than game designing companies. Monotony sets in for those doing the same job over and over. Animators put life into images and transform them into movies or video games. Animation is technically defined as linking a series of drawings and simulating their movements together. It is a rapid display of 2D or 3D images to create an illusion of motion.